Critical care of the injured patient is little different from critical care in general, with a few important exceptions. First, injury is often associated with hemorrhage and the sequelae of post-hemorrhage resuscitation, although some patients do continue to bleed after ICU admission, while others have recurrent hemorrhage. Second, injury identification is often incomplete when immediate operation is required, so radiographic or angiographic assessment is often required after ICU admission. Third, injured patients requiring critical care are at risk for the abdominal compartment syndrome as a result of resuscitation. Fourth, this patient population often requires a multidisciplinary team to care for them both in the ICU and afterwards on the general ward. Fifth, readmission to the ICU is common as this patient population often requires additional reconstructive procedures after they have recovered from the initial injury. While both blunt and penetrating injury may require critical care, there are several common features to both patient subtypes, including hypoperfusion, large-volume resuscitation, hypothermia, metabolic acidosis, tissue injury, tissue inflammation, acute respiratory failure, and multisystem injury. Increasingly, both blunt and penetrating injury may be managed either primarily or secondarily using angiointerventional techniques. Furthermore, blunt injury is quite often managed with observation alone. Thus, many injured patients are cared for in the ICU without any acute operative intervention. 2. Ensure that hemorrhage is controlled, including restoration of normothermia, correction of acidosis, restoration of normal clotting cascade factor concentration, and correction of hypocalcemia and hypomagnesemia. 4. Monitor for complications of the initial injury or the prescribed ICU therapy, in particular abdominal compartment syndrome. 5. Watch for the sequelae of withdrawal from alcohol or illicit substances. 6. Establish the goals of therapy and appropriate expectations for management with the family; engage the trauma service and the nursing staff as well. 7. For those with deteriorating neurologic status associated with a likely non-survivable injury, early discussion with the local organ procurement organization will optimize opportunities for organ donation when appropriate. 8. Ensure that a complete tertiary survey to look for missed injuries is performed within 24 hours of admission. 3. Component therapy should proceed in a 1:1:1 ratio of PRBC:FFP:Platelets; this ratio is associated with improved resuscitation as a result of more rapid coagulopathy correction and reduced total component requirement. 4. Monitor for the sequelae of massive transfusion, including the abdominal compartment syndrome. 6. Not infrequently, repeat laparotomy or thoracotomy is required for control of hemorrhage, GI track leak or compartment syndrome management. Maintain a low threshold for reexploration or initial exploration of those who fail to respond to non-operative management. 7. Repeated physical examination is essential to identify changes that would prompt a change in therapy or suggest the need for a different or repeated diagnostic intervention. A tertiary examination is essential to help ensure that initially missed, incompletely evaluated, or inapparent injuries are identified and managed.Up to 4% of patients will have missed injuries at Level I trauma centers. There are no specific medications for this patient population. Specific diagnoses are not different from the general ICU population, with the exception of diagnoses specific to the initial injury. In general these are already identified on plain radiography or CT scanning undertaken prior to or shortly after ICU admission and are guided by the Trauma service. However, one specific diagnosis deserve exploration since it is generally not as urgent as other conditions and is often not promptly addressed: cervical spine ligamentous injury. The vast majority of blunt injury patients present to the ICU with a rigid cervical immobilization device in place; field or ED placement is standard of care for the pre-hospital care provider as well as the Emergency Medicine or Trauma physician. 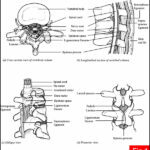 Clearing the spine so that the device may be removed is rarely straightforward in the ICU patient due to concomitant injury, altered mental status, distracting injury, pharmacologic or alcohol withdrawal, traumatic brain injury, deep sedation, and a host of other conditions. In this circumstance, one may undertake three approaches: (1) cervical MRI within 72 hours of injury (sensitivity and specificity wanes after 72 hours), (2) 6 weeks of rigid immobilization, or (3) leave the collar in place until the patient can participate in an active flexion/extension examination or 6 weeks, whichever is shorter. Since clinical clearance in the seriously injured patient is problematic, one must have a consistent approach to successfully manage this aspect of care. See Figure 1, Figure 2, Figure 3, Figure 4, Figure 5, Figure 6, Figure 7. Since this patient population is subject to all of the typical ICU patient complications, the approach to that aspect of care is not unique. However, one should approach all initial episodes of hypotension or hypoperfusion as hemorrhage until proven otherwise, even in patients with spinal cord injury. This approach is consistent with the observation that the vast majority of potentially preventable deaths after injury stem from uncontrolled hemorrhage. This approach is valid for the first few days after injury. Thereafter, typical ICU diagnoses, including sepsis, pneumonia, and organ failure, predominate the causes of poor perfusion. The pathophysiology of injury is extremely complex and not entirely elucidated. However, certain general principles are common to both blunt and penetrating injury. These pathophysiologic events are responses to hemorrhage, tissue injury, pain, thermal challenge, dysoxia or hypoxia, and acidosis. Each of these events triggers a catecholamine surge, activates the renin-angiotensin-aldosterone system, and serves to maintain central circulation, oxygen delivery, and salt and water retention. A dizzying array of cytokines are elaborated with a variety of time frames during which they peak and ebb. White blood cell mobilization as well as demargination occurs as injury is often accompanied by a non-self protein challenge. Hypoperfusion induces metabolic acidosis, an event that prompts therapy and also triggers a variety of intracellular signaling events focuses on nuclear-factor kappa beta, the significance of which is not fully elucidated. Moreover, acidosis included by hypoperfusion as well as a byproduct of injudicious chloride administration (hyperchloremic acidosis) induces viscosity increases and flow diminution from RBC swelling, a reversible event. A host of deleterious events have been associated with both hyperchloremic acidosis as well as excess crystalloid administration during resuscitation. It is also clear that oxygenated reperfusion generates toxic oxygen metabolites such as singlet oxygen, hypochlorous acid, superoxide, tauric acid, and hydrogen peroxide. These TOMs create oxidant damage to a host of cell membranes via lipid peroxidation. As such, both cytoplasmic and mitochondrial damage occurs. This damage may explain why despite restoration of systemic flow and oxygen delivery, many tissues are unable to utilize the delivered oxygen. The epidemiology of the injured patient will significantly vary with the location of the trauma center, the level of the trauma center (I-IV, with I being the highest as designated by the American College of Surgeons Committee on Trauma), the season, and whether or not the center is located in a developed nation or not. Therefore, epidemiology with regard to an individual center is unique. However, in developed nations, motor vehicle crashes and falls predominate with regard to blunt injury as well as the overall reason for admission to a trauma center. With regard to penetrating trauma, gunshot wounds and cutting/stabbing mechanisms dominate.Each year the American College of Surgeons Committee on Trauma publishes the National Trauma Databank dataset that is representative of the demographics and outcomes at U.S. trauma centers by region and center type. It is clear that there is a bimodal injury pattern (young and old) and that mortality for men sharply increases after the age of 55. Thus, for trauma, elderly is considered at the age of 55, in sharp contradistinction to the geriatric literature, where 65 years of age seems to predominate. At least in the U.S., trauma surgery and critical care medicine are inextricably wed. Thus, the physician who is the intensivist one week may be the trauma surgeon next week and the emergency general surgeon the week thereafter and the elective surgeon after that. Of course, during nighttime call, this individual is all four in one. Trauma centers are divided in the U.S. with regard to whether it is essential or merely desirable for the trauma surgeon to take call in-house or from home. At present, there is no standard to which all centers will hew. However, with the recently imposed work hours restrictions as well as the requirement for Type I supervision, it is likely that at trauma centers with residency programs the trauma surgeon will increasingly take in-house call as one means of providing the required supervision. A team approach is essential for successful management of the injured patient. This team includes consultant physicians from diverse and obvious disciplines but also including physiatry, nursing, physical and occupational therapy, respiratory therapy, nutrition, pastoral care, social work, and case management. Since so many injured patients who require hospital and ICU admission also have a rehab center as their discharge destination, rehab evaluation and therapy while an inpatient at an acute care facility is essential in shortening the time to recovery. Kaplan, LJ, Kellum, JA. “Comparison of acid base models for prediction of early mortality following trauma”. Shock. vol. 29. 2008. pp. 662-666. Davis, KA, Cabbad, NC, Schuster, KM, Kaplan, LJ, Carusone, C, Leary, T, Udelsman, R. “Trauma team oversight of patient management improves efficiency of care and augments clinical and economic outcomes”. J Trauma. vol. 65. 2008. pp. 1236-44. Kaplan, LJ, Cheung, NH-T, Maerz, LL, Lui, FY, Schuster, KM, Luckianow, G, Davis, KA. “A physicochemical approach to acid-base balance in critically ill trauma patients minimizes errors and reduces inappropriate plasma volume expansion”. J Trauma. vol. 66. 2009. pp. 1045-51. Kaplan, LJ, Frangos, S. “Acid-base abnormalities in the ICU: part II”. Critical Care. vol. 9. 2005. pp. 198-203. Sihler, KC, Napolitano, LM. “Massive transfusion: new insights”. Chest. vol. 36. 2009 Dec. pp. 1654-67. Offiah, C, Twigg, S. “Imaging assessment of penetrating craniocerebral and spinal trauma”. Clinical Radiology. vol. 64. 2009 Dec. pp. 1146-57. Duchesne, JC, Mathew, KA, Marr, AB, Pinsky, MR, Barbeau, JM, McSwain, NE. ” Current evidence-based guidelines for factor VIIa use in trauma: the good, the bad, and the ugly”. American Surgeon. vol. 74. 2008 Dec. pp. 1159-65. Doody, O, Given, MF, Lyon, SM. “Extremities–indications and techniques for treatment of extremity vascular injuries”. Injury. vol. 39. 2008 Nov. pp. 1295-303. Mabry, R, McManus, JG. “Prehospital advances in the management of severe penetrating trauma”. Critical Care Medicine. vol. 36. 2008 Jul. pp. S258-66. Manthey, DE, Nicks, BA. “Penetrating trauma to the extremity”. Journal of Emergency Medicine. vol. 34. 2008 Feb. pp. 187-93. Moloney, JT, Fowler, SJ, Chang, W. “Anesthetic management of thoracic trauma”. Current Opinion in Anaesthesiology. vol. 21. 2008 Feb. pp. 41-6. Eren, S, Esme, H, Sehitogullari, A, Durkan, A. “The risk factors and management of posttraumatic empyema in trauma patients”. Injury. vol. 39. 2008 Jan. pp. 44-9. Rathlev, NK, Medzon, R, Bracken, ME. “Evaluation and management of neck trauma”. Emergency Medicine Clinics of North America. vol. 25. 2007 Aug. pp. 679-94. Bagshaw, SM, Bellomo, R. “The influence of volume management on outcome”. Current Opinion in Critical Care. vol. 13. 2007 Oct. pp. 541-8. Scharff, JR, Naunheim, KS. “Traumatic diaphragmatic injuries”. Thoracic Surgery Clinics. vol. 17. 2007 Feb. pp. 81-5. Bryant, AS, Cerfolio, RJ. “Esophageal trauma”. Thoracic Surgery Clinics. vol. 17. 2007 Feb. pp. 63-72. Foster, BR, Anderson, SW, Soto, JA. “CT angiography of extremity trauma”. Techniques in Vascular & Interventional Radiology. vol. 9. 2006 Dec. pp. 156-66. Jankowski, JT, Spirnak, JP. “Current recommendations for imaging in the management of urologic traumas.”. Urologic Clinics of North America. vol. 33. 2006 Aug. pp. 365-76. Munera, F, Cohn, S, Rivas, LA. “Penetrating injuries of the neck: use of helical computed tomographic angiography”. Journal of Trauma-Injury Infection & Critical Care. vol. 58. 2005 Feb. pp. 413-8. Duchesne, JC, Barbeau, JM, Islam, TM. ” Damage control resuscitation: from emergency department to the operating room”. American Surgeon. vol. 77. 2011 F. pp. 201-6. Rhee, P. “Noncolligative properties of intravenous fluids”. Current Opinion in Critical Care. vol. 16. 2010 Aug. pp. 317-22. Davenport, R, Curry, N, Manson, J, De’Ath, H, Coates, A, Rourke, C, Pearse, R, Stanworth, S, Brohi, K. “Hemostatic effects of fresh frozen plasma may be maximal at red cell ratios of 1:2”. Journal of Trauma-Injury Infection & Critical Care. vol. 70. 2011 Jan. pp. 90-5; discussion 95-6. Duchesne, JC, McSwain, NE, Cotton, BA, Hunt, JP, Dellavolpe, J, Lafaro, K, Marr, AB, Gonzalez, EA, Phelan, HA, Bilski, T, Greiffenstein, P, Barbeau, JM, Rennie, KV, Baker, CC, Brohi, K, Jenkins, DH. “Damage control resuscitation: the new face of damage control”. Rotondo M. Journal of Trauma-Injury Infection & Critical Care. vol. 69. 2010 Oct. pp. 976-90. Hauser, CJ, Boffard, K, Dutton, R, Bernard, GR, Croce, MA, Holcomb, JB, Leppaniemi, A, Parr, M, Vincent, JL, Tortella, BJ, Dimsits, J, Bouillon, B. “Results of the CONTROL trial: efficacy and safety of recombinant activated Factor VII in the management of refractory traumatic hemorrhage”. Journal of Trauma-Injury Infection & Critical Care. vol. 69. 2010 Sep. pp. 489-500. Duchesne, JC, Kimonis, K, Marr, AB, Rennie, KV, Wahl, G, Wells, JE, Islam, TM, Meade, P, Stuke, L, Barbeau, JM, Hunt, JP, Baker, CC, McSwain, NE. “Damage control resuscitation in combination with damage control laparotomy: a survival advantage”. Journal of Trauma-Injury Infection & Critical Care. vol. 69. 2010 Jul. pp. 46-52. Morel, N, Delaunay, F, Dabadie, P, Averous, G, Morel, O. “Damage control resuscitation using warm fresh whole blood: a paramount role for leukocytes and derived microparticles in the prevention of coagulation abnormalities”. Journal of Trauma-Injury Infection & Critical Care. vol. 68. pp. 1266-7. Eastridge, BJ, Costanzo, G, Jenkins, D, Spott, MA, Wade, C, Greydanus, D, Flaherty, S, Rappold, J, Dunne, J, Holcomb, JB, Blackbourne, LH. “Impact of joint theater trauma system initiatives on battlefield injury outcomes”. American Journal of Surgery. vol. 198. 2009 Dec. pp. 852-7. Dawes, R, Thomas, GO. “Battlefield resuscitation”. Current Opinion in Critical Care. vol. 15. 2009 Dec. pp. 527-35. Sambasivan, CN, Schreiber, MA. “Emerging therapies in traumatic hemorrhage control”. Current Opinion in Critical Care. vol. 15. 2009 Dec. pp. 560-8. Nunez, TC, Cotton, BA. “Transfusion therapy in hemorrhagic shock”. Current Opinion in Critical Care. vol. 15. 2009 Dec. pp. 536-41. Gunter, OL, Au, BK, Isbell, JM, Mowery, NT, Young, PP, Cotton, BA. “Optimizing outcomes in damage control resuscitation: identifying blood product ratios associated with improved survival”. Journal of Trauma-Injury Infection & Critical Care. vol. 65. 2008 Sep. pp. 527-34. Fox, CJ, Gillespie, DL, Cox, ED, Kragh, JF, Mehta, SG, Salinas, J, Holcomb, JB. Journal of Trauma-Injury Infection & Critical Care. vol. 65. 2008 Jul. pp. 1-9. Schnuriger, B, Inaba, K, Konstantinidis, A, Lustenberger, T, Chan, LS, Demetriades, D. “Outcomes of proximal versus distal splenic artery embolization after trauma: a systematic review and meta-analysis”. Journal of Trauma-Injury Infection & Critical Care. vol. 70. 2011. pp. 252-60. Anderson, PA, Gugala, Z, Lindsey, RW, Schoenfeld, AJ, Harris, MB. “Clearing the cervical spine in the blunt trauma patient”. Journal of the American Academy of Orthopaedic Surgeons. vol. 18. 2010. pp. 149-59. Wilkerson, RG, Stone, MB. “Sensitivity of bedside ultrasound and supine anteroposterior chest radiographs for the identification of pneumothorax after blunt trauma”. Academic Emergency Medicine. vol. 17. 2010. pp. 11-7. Oxford, CM, Ludmir, J. “Trauma in pregnancy”. Clinical Obstetrics & Gynecology. vol. 52. 2009. pp. 611-29. Stahel, PF, Smith, WR, Moore, EE. “Current trends in resuscitation strategy for the multiply injured patient”. Injury. vol. 40 Suppl 4. 2009. pp. S27-35. Bauer, M, Kortgen, A, Hartog, C, Riedemann, N, Reinhart, K. “Best Practice & Research. Isotonic and hypertonic crystalloid solutions in the critically ill”. Clinical Anaesthesiology. vol. 23. 2009. pp. 173-81. Duchesne, JC, Mathew, KA, Marr, AB, Pinsky, MR, Barbeau, JM, McSwain, NE. “Current-evidence based guidelines for factor VIIa use in trauma: the good, the bad, and the ugly”. American Surgeon. vol. 74. 2008. pp. 1159-65. Arthurs, ZM, Starnes, BW. “Blunt carotid and vertebral artery injuries”. Injury. vol. 39. 2008. pp. 1232-41. Ritenour, AE, Baskin, TW. “Primary blast injury: update on diagnosis and treatment”. Critical Care Medicine. vol. 36. 2008. pp. S311-7. Crandall, M, Popowich, D, Shapiro, M, West, M. “Posttraumatic hernias: historical overview and review of the literature”. American Surgeon. vol. 73. 2007. pp. 845-50. Sangster, GP, Gonzalez-Beicos, A, Carbo, AI, Heldmann, MG, Ibrahim, H, Carrascosa, P, Nazar, M, D’Agostino, HB. “Blunt traumatic injuries of the lung parenchyma, pleura, thoracic wall, and intrathoracic airways: multidetector computer tomography imaging findings”. Emergency Radiology. vol. 14. 2007. pp. 297-310. Coskun, AK, Yarici, M, Ulke, E, Mentes, O, Kozak, O, Tufan, T. “Perforation of isolated jejunum after a blunt trauma: case report and review of the literature”. American Journal of Emergency Medicine. vol. 25. 2007. pp. 862.e1-4. Miller, DL, Mansour, KA. “Blunt traumatic lung injuries”. Thoracic Surgery Clinics. vol. 17. 2007. pp. 57-61, vi. Mirvis, SE, Shanmuganagthan, K. “Imaging hemidiaphragmatic injury”. European Radiology. vol. 17. 2007. pp. 1411-21. Pierre, EJ, McNeer, RR, Shamir, MY. “Early management of the traumatized airway”. Anesthesiology Clinics. vol. 25. 2007. pp. 1-11, vii. Waydhas, C, Sauerland, S. “Pre-hospital pleural decompression and chest tube placement after blunt trauma: A systematic review”. Resuscitation. vol. 72. 2007. pp. 11-25. Goaley, TJ, Dente, CJ, Feliciano, DV. “Torso vascular trauma at an urban level I trauma center”. Perspectives in Vascular Surgery & Endovascular Therapy. vol. 18. 2006. pp. 102-12. Renaldo, N, Egol, K. “Damage-control orthopedics: evolution and practical applications”. American Journal of Orthopedics (Chatham, Nj). vol. 35. 2006. pp. 285-91; discussion 291. Jankowski, JT, Spirnak, JP. “Current recommendations for imaging in the management of urologic traumas”. Urologic Clinics of North America. vol. 33. 2006. pp. 365-76. Wong, EH, Knight, S. “Tracheobronchial injuries from blunt trauma”. ANZ Journal of Surgery. vol. 76. 2006. pp. 414-5. Crosby, ET. “Airway management in adults after cervical spine trauma”. Anesthesiology. vol. 104. 2006. pp. 1293-318. Hunt, PA, Greaves, I, Owens, WA. “Emergency thoracotomy in thoracic trauma-a review”. Injury. vol. 37. 2006. pp. 1-19.